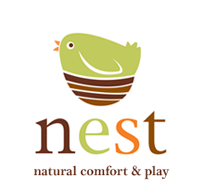 Today we are pleased to introduce you to Nest, one of our valued Natural Parents Network sponsors. My husband (John-Paul) and I both have European connections. I’m Austrian on my mother’s side and have been visiting family there since I was twelve. That first summer I spent with family by Graz, I was enchanted with their toy stores and the little dollhouse miniatures. For my twelfth birthday, I remember the tiny gift boxes, and in them, a brass candelabra, a little dish set, a salt box, a tiny little oven . . .
Fast forward to years later, I’ve completed my physics bachelor’s, and John-Paul and I are living in Germany while I’m doing my masters in wind energy engineering. During our outings to the old towns, I would drag JP into the little toy shops. Very charming! Of course, we both played with wooden toys as kids too, and we shared that love of wood and all things European. John-Paul lived and worked in Switzerland for awhile when he was younger in between high school and university, and I’d done a semester abroad in Germany in my undergraduate. After returning to Canada after my graduate studies, we lived in Ottawa where I worked for a wind energy consultancy, and JP worked for government. After a year and a bit, I had to admit that the repetitive strain I was feeling from working intensively on a computer all day was not doing any better, despite my best efforts, in fact, it was getting worse fast. I’d worked on a computer all my life without any issues, but something about working with data sets in spreadsheets, and the clicking and mousing really did me in. So it was time to admit defeat, take a long step back, and rethink lifework. I knew there were so many beautiful things we saw in Germany, and we always wondered, why don’t we see more of them here? What are a few of your most popular products? 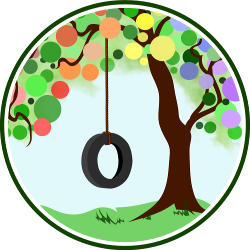 Ruskovilla woolen and silkwool long underwear; dress up items – playsilks, wooden swords and shields; ABC blocks; science kits; and birthday rings. Why is it important for families to purchase quality, sustainable toys for children? As a society we need to support quality, sustainable production. And we need to start with the things we give our kids. It provides them a foundation for life and an appreciation of those values that are so important for our current and future well-being. Almost everything we sell is made from wood, wool, cotton, silk, silicone, natural rubber, or other materials that will biodegrade without harming the environment. For everything we purchase, we ask ourselves, what will become of it within a thousand or so years? And, what kind of energetic input has gone into its production? Is it justified for us to ship from Europe or B.C. all the way to us? Does the manufacturer use energy-efficient measures in production? What we saw living in Germany was a society that wholly incorporated green values into their daily living. Okay, we’re self-confessed Europhiles, but we really feel that we have much to learn from Germany, and the personal responsibility so many Germans feel for environmental stewardship. The environment is personal. How does Nest impact its local community? We donate to local events and charities. 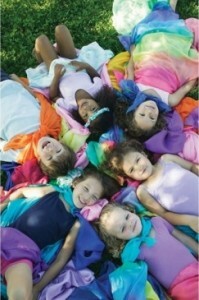 We participate in local Waldorf school fairs and fundraisers. We also participate in local street festivals. 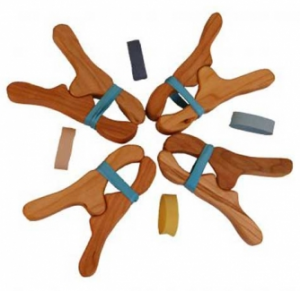 We connect with a lot of people in our community (Ottawa) who are really glad to find a local retailer selling heirloom quality wooden and organic toys. We’re always on the look-out for locally-made products that fit with our aesthetic and values. We recently closed our brick and mortar store but continue to serve local customers through our webshop (we offer ‘in-store’ pick up of orders). We also sell a lot more than toys. We have many beautiful wooden and natural products for the home. There are a lot of items that we carry from Europe for which we are the only North American importer. We’d like people to know that we’ve met most of our suppliers in person, and there are some lovely and dedicated, ecologically-minded crafters making charming products. Prior to our interview I had the chance to browse Nest and fell in love with a number of their products. Well, truly, I fell in love with all of their products, but here is a glance at my most favorites! For simple shopping, Nest products are divided into 6 categories: just hatched, playtime, arts & culture, clothing, and nesting. Just Hatched offers a mix of pregnancy, breastfeeding, cloth diapering, nursery supplies, and infant toys. I was quite impressed with their assortment of wool diapering products from the company Ruskovilla. Not only is wool an excellent fiber choice for baby’s bum, the Ruskovilla brand is both beautiful and affordable. 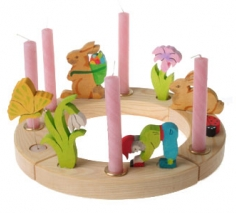 Playtime booms with an assortment of natural Montessori and Waldorf inspired toys. Any child would be blessed to receive an heirloom toy like these dolls and dollplay houses, playsilks, or games. I’ve heard wonderful things about these play clips for building forts too! Arts & Culture hosts a plethora of educational opportunities for children and their families. Whether you are looking to build your home library or infuse your day with music, Nest is full of resources to expand your creativity and awareness. Clothing of the finest silk and wool make your skin happy at just the sight of them! Nest can outfit the whole family in basics to beautiful dresses like this one. There is no doubt in my mind that these investment pieces will be passed from generation to generation. Nesting happens all over the home. Whether it be in the bedroom or kitchen, Nest has the perfect accessory, piece of furniture, and decor to build your home on a natural foundation. I especially love these German birthday rings. Are you adoring Nest as much as I am? I’m sure you are! Take a moment to follow them on Facebook and Twitter so you can stay updated on new products and sales! Disclosure: Nest is an advertising sponsor. 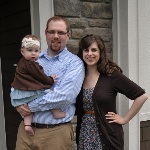 Gretchen and her husband, Dominic, are passionate about raising a Christian family, financial freedom, attachment parenting, and healthy living. She is learning, loving, and laughing through motherhood while juggling nap times, work, homemaking, and the occasional craft project. In her spare time Gretchen is pursuing La Leche League leadership and preparing to build her first home with Dominic and Jemma. She blogs about it all at That Mama Gretchen.